Come and enjoy the authentic village experience and celebrate cultural heritage! Date: Special days Every Monday & Saturday but we will take whole week. 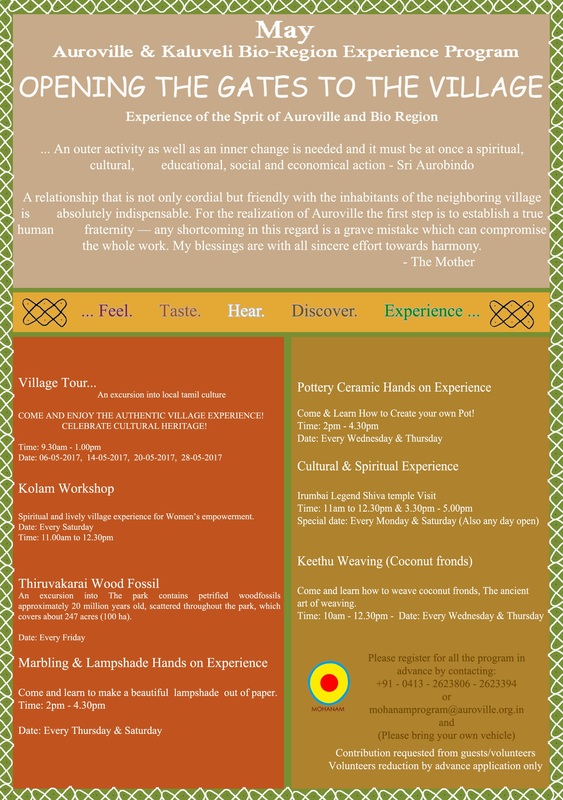 Spiritual and lively village experience for Women’s empowerment. An excursion into the park contains petrified wood fossils approximately 20 million years old, scattered throughout the park, which covers about 247 acres (100 ha). Meeting point: 2.45pm at Lively Boutique, Kotakkarai Plaza. • Finish the day on the ocean side and meditate while the sun sets over the magnificent Kaluveli landscape. Tour will only take place once a minimum of 5 bookings has been received. Transportation will be arranged according to the number of people. Contributions requested from guests/Volunteers, Volunteer reduction by advance application only. Give Time a Break: Discover Village Life!